Sports Simulation Games - Download and Play 22 Free Sports Simulation Games! Sports Simulation - Games that bring the fun of competitive and hobby sports to your computer! 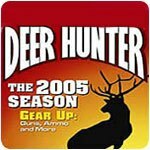 With Deer Hunter 2005, it's Hunting Season All Year Long!! Play in Tournaments For Trophies and Compete For Club Ranking! 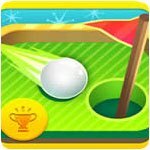 Experience the Most Miniature Game of Miniature Golf Ever! Enjoy the Age-Old Game of Bowling in a Convenient and Portable Package! Estimate Trajectory and Bounce to Score Tough Baskets in this Physics Simulator! 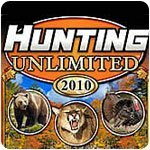 Prowl the Untamed Wilderness for Deer and Other Big Game Animals. One of the most realistic pool games available! 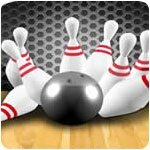 Enjoy the age-old game of bowling in a mobile package! 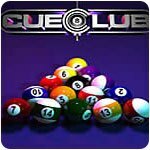 Fun, easy to play, and many different pool games! Very realistic with short and long version Snooker. Online requirements aside, 8 Ball Pool is a rather good time. Both Easier and Tougher Than it Looks! Run your own major league baseball franchise! Build the best team and take them to the World Series! 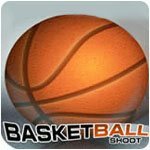 Estimate trajectory and bounce to score tough baskets! Become the Hoop-Shooting Champion of the World! Hunt 32 species all over North America! Take control of a cricket team and lead it to glory! Play the computer or online against other people! 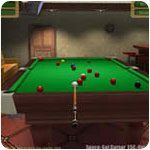 Enjoy beautiful graphics and highly realistic pool game play! 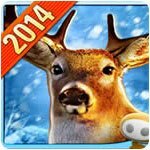 Carefully hunt and track deer in the great outdoors! Bag the largest deer possible with your hunting skills! Bring down your favorite game animals! First person shooter paintball sim! Assemble your dream team and rise to a NHL championship! Make daring jumps and flip in the air on your trusty motorcycle! Hit the slopes in this extreme skiing adventure! Go Head to Head Against Other Players in this Online Golfing Simulator! 17 types of big game to hunt in realistic environments! Hunt prized game ranging from red deer to lions year round. Join In-Fisherman in this realistic fishing sim! Train up a personalized player and compete! Perfect your swing and get on the golf leaderboard. Prove your pool skills in tournaments and challenges. Turn a rookie into an All Star soccer player! Create and manage a winning baseball team! Knock those pins down with a variety of magical bowling balls! Practice pool on your PC and learn ball mechanics. Experience classic games of 8-ball and 9-ball on the go. 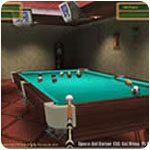 Play your favorite billiard games anytime and anywhere! Jab, hook and uppercut your opponents into submission! Improve your game with this portable free throwing simulator! Complete crazy courses on your motorcycle! Futuristic bowling like you've never experienced! Endless supply of fast-paced soccer, single or multiplayer. Hit the slopes with classic old school gameplay! Control horse racing from the inside! Solid ball physics and easy to learn controls. Grab your go kart and race on 20 tracks! Play thrilling games of tennis! For such a simple game, Tiny Striker is pretty fun. Dominate the ring with the WWE's greatest champions! Select your team and play soccer your way! What Are Sports Simulation Games? A sports simulation is a video game modeled on a real-life sport. These include team sports such as baseball, basketball, and football, as well as a wide variety of other sports such as tennis, track and field, hunting, racing, bowling, rowing, and many more. Due to the nature of the sports on which they are based, sports simulations are often intended to be played by multiple players competing against one another, though many single-player sports simulations also exist in which the player competes against computer-controlled opponents or the clock. Because the field of sports simulation is so diverse, only a brief sketch of the genre’s history is offered here. Sports simulations have existed since the earliest days of electronic gaming. Popular sports provided a ready-made subject for video games, since players would typically already know the rules and have some experience playing the flesh-and-blood version of the game. The first sport to be translated into video game form was tennis. In 1958, an American physicist named William Higinbotham created Tennis for Two on an oscilloscope. Only one version of the game was created, however, and it remained relatively unknown in its own time. Not until the advent of arcade games in the 1970s did sports simulators become widespread. It was, in fact, another game inspired by tennis (through tennis’s cousin ping-pong) that launched the video game industry. Pong was an extremely simple game in terms of both graphics and gameplay, but it was also entertaining and addictive enough to become the first runaway hit in the video game field. In the wake of Pong, many new types of arcade games proliferated in the mid-to-late 1970s, including sports games. In 1978, Atari Football was released, representing an important advance in sports simulation. Despite the fact that the trackball control mechanism of the game was somewhat awkward, it became one of the most popular arcade games of its day and paved the way for the nascent sports simulator industry. In the 1980s, home video game consoles went mainstream, and many sports simulators were created for them. Although Atari dominated the home video game market, the Intellivision by Mattel boasted of its superior sports offerings, including World Series Baseball, which marked a major leap forward in video game graphics. Every major sport was reborn in electronic-game form at some point during this period. Sports simulators, both original games and ports from the arcade, also began to appear on home computers. In addition, Football Manager, released in 1982, launched a new subgenre of sports games that focuses on all aspects of managing a sports franchise rather than only playing and winning individual games. Another example of a successful game in this subgenre is the Baseball Mogul series of the late 1990s and 2000s, as well as later incarnations of John Madden Football, one of the most lucrative video game franchises of all time. Over time, sports games have not only improved but also diversified. Video games have long simulated sports beyond staples such as football and baseball. Nintendo’s Duck Hunt (1984) for instance, is a simple and early example of a hunting game; it became familiar to a generation of gamers due to its being packaged along with the NES console. Hunting games continue to be published today, with ever-improving graphics and gameplay. “Extreme” sports, such as skateboarding (e.g. the Tony Hawk series), have also blossomed in the past decade or so. Bowling, golf, boxing, fishing, horse racing, and pool are among the many other sports hat have also been adapted into video games. Today, sports video games are still strong sellers. The Nintendo Wii, for example, comes bundled with simple but popular sports simulators played with the Wii’s advanced motion-sensor controller. New incarnations of classic series such as the John Madden games continue to be released, as well. Who Will Like These Games? Sports fans are obviously the primary candidates to enjoy sports-based video games, although there is no absolute guarantee that fans of a sport will necessarily enjoy the experience of playing a video game based upon it, or that those who do not enjoy a certain sport will not like the video game adaptation of it, either. Those players who enjoy action-oriented games or other games that require quick and accurate hand-eye coordination, are likely to enjoy sports simulations as well. Strategy gamers, or those who enjoy business simulation games, may wish to branch out a bit by trying their hands at franchise-management games.